Doctors depend on a wide array of systems to provide patient care. There’s just one problem: none of the them properly talk to each other. That’s why Manny Abraham created Orbcare Inc., a platform that merges the information doctors use and patients provide, making sense of it all to streamline patient care. All sorts of similar pain points exist in the medical field and, Abrahams, with over twenty years of experience in the sector, joins BusinessCast host Robert Gold to dive into the exciting fusion of innovation and medicine. Biotech and healthcare startups are some of the fastest-growing in the world of technology. Investors of every sort are hoping to take a slice of the pie, so much so that healthcare and biotech companies raised over $28 billion in 2018, according to PitchBook. Abrahams takes us through why it’s such an exciting time for innovation in healthcare and why Canada is uniquely placed to be a major player in the sector. Expect all that and more in this edition of the BusinessCast Podcast powered by The DMZ. $4.6 billion. That’s how much Canadian tech companies raised in VC funding in 2018. A record for our country’s thriving sector. With 2019 well underway, we are already seeing a trail of impressive raises. 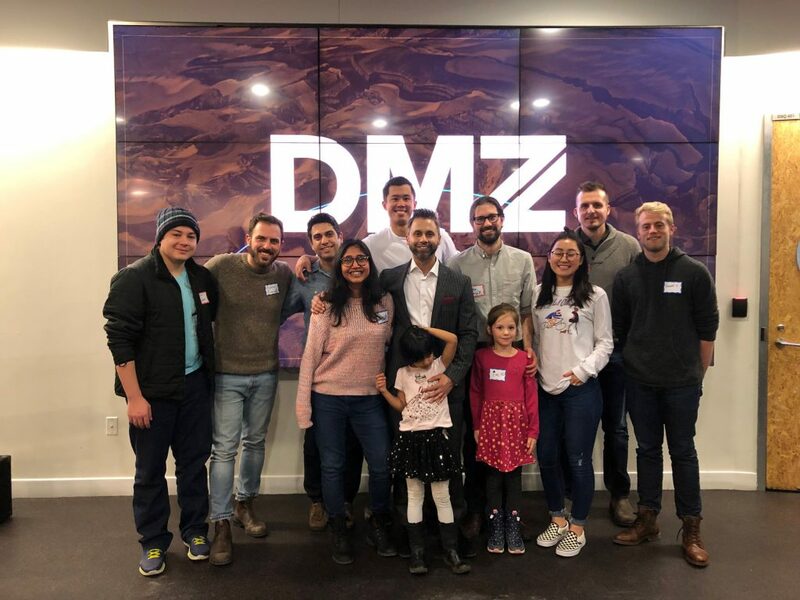 This week, DMZ startups got a boost with a number of rounds. Here’s the latest on who raised how much, and from whom. 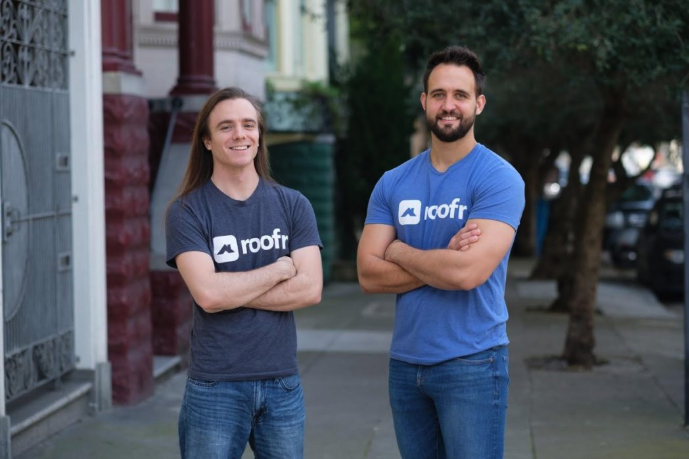 After completing the Y Combinator program, Roofr, a new type of roofing service that uses aerial imagery to provide customers with a free roofing estimate online, announced it raised $4 million led by CrossLink Capital and a line of angel investors. Currently serving the Bay Area, the entire state of Florida and the province of Ontario, the company plans to use the funding to expand its reach to new marketplaces and has its eyes on the state of Texas. The company will also be growing its engineering, sales and marketing teams. NXM Labs Inc., an autonomous security and data integrity company, announced the close of its $CAD7.5 million pre-series A funding led by Cedarpoint investments Inc.
With the IoT industry on track to be one of the fastest moving technology sectors in history, this financing comes at the perfect time. The company will commercialize their award-winning NXM SecureSuite software platform that enables connected devices and systems to manage their own security in order to continue to ward off hackers. EnergyX raises for further expansion in the U.S.
EnergyX Solutions, an online energy auditing platform, has raised $500,000 from MaRS Investment Accelerator Fund following a $1.3 million raise in August 2018. Already working with companies like Enbridge, Gas Distribution and CLEAResult, the Toronto-based startup is putting their money towards further expansion in the U.S. where there is a larger market to tap into. Canada is in dire need of more talent, with tech vacancies poised to reach 200,000 by 2020 nationwide. If Canada doesn’t bring in more high quality talent into the national startup ecosystem, our cities won’t be positioned to grow into true tech powerhouses. According to a recent CBRE report, a lack of available tech talent is a major issue for many cities with burgeoning tech sectors. Fortunately, VanHack, a startup headquartered in Vancouver focused on recruiting tech talent, is picking up the slack to help develop tech clusters in cities across Canada. “We bring the world’s best tech talent to you,” says Ilya Brotzky, founder and CEO. Since launching in 2015, VanHack has helped nearly 600 individuals find work in Canada, growing over one hundred percent year-over-year in the process. Focusing on helping immigrants find work in Canada is at the core of what VanHack does. In fact, the majority of VanHack’s clients comes from countries that aren’t as economically developed as Canada. In other words, VanHack is helping skilled workers come to Canada and not only improve their quality of life but contribute to impactful growth for our ecosystem. Shaking up its approach to recruitment in new and successful ways, VanHack brought a group of 20 female senior developers from all around the world to companies based in Toronto and Waterloo as part of their new recruiting initiative “Leap.” VanHack’s video coverage of the event showcases how it is a far more dynamic recruitment style than the typical “see job post, contact company” approach.